Fans and boxing enthusiasts have been anticipating the Pacquiao-Mayweather match for about five years. Clearly, negotiations for what could be the biggest boxing match of the millennium have been going on for a long time now. Boxing promoter Bob Arum has recently stated that Pacquiao has given his approval on all the terms that would make up the match. Whether the fight will be happening or not is entirely up to Mayweather’s court. It has been noted that Mayweather has been evading a match against Pacquiao, claiming that all prior terms were not justified. 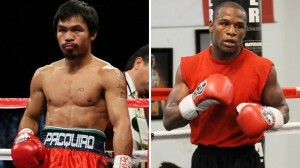 The question now is: will Mayweather still walk away from a match that could earn him US$120 million? Arum stated that even he does not know what Mayweather’s answer will be. 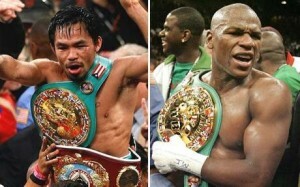 He said that he does not want to make any statement regarding Mayweather that might be taken the wrong way. The negotiations with Floyd Mayweather’s camp over the past weeks have resulted positively with both sides agreeing on the date of the fight, on MGM Grand in Las Vegas being the site of the match, and even on how the proceeds of the fight will be split. However, it must be stated that Mayweather himself is yet to agree to the match. With Bob Arum publicly reporting that Pacquiao is approving the terms of the fight, it may cause even more pressure for Mayweather to finally accept Pacquiao’s challenge. For now, the boxing promoter and the rest of the boxing world eagerly await for Mayweather to formally sign the document stating his acceptance of the fight.